Closing in on one year since the election, we wondered: how are organizations handling the giving influx, and what can we learn from their experiences? Throughout this tumult, Campbell & Company has worked closely with organizations and monitored the effect of political developments on the nonprofit sphere. We shared advice for nonprofit leaders after the inauguration and weighed in on the sector outlook 100 days into the new administration. To better understand the giving surge’s impact, we talked to six nonprofit leaders representing a diverse group of organizations that all received a dramatic uptick in donor support post-election. While not every nonprofit saw a giving increase after the election, these organizations’ experiences offer universal lessons for effectively managing change and retaining donors. *At the time of our conversation, Aguayo held the title of Development Director and oversaw all of NILC's fundraising. From these in-depth conversations, we identified 15 strategies organizations are using to navigate the giving spike. Read on for recommendations and real-life examples from nonprofits dealing with the daily realities of the surge. 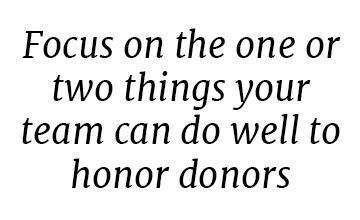 Realize that not all donors are well-versed in your mission. Every leader we spoke to noted that the giving influx brought in significant new support. For some organizations, these first-time donors may be different—demographically and behaviorally—from their traditional base. Marisa Aguayo of the National Immigration Law Center (NILC) noted that, compared to its seasoned donors, many of her organization’s new supporters may not be as knowledgeable about issues related to immigrant rights. Likewise, Liz FitzGerald of the American Civil Liberties Union (ACLU) discussed how her organization has created three tracks: pre-election donors, post-election donors, and Muslim ban donors. According to FitzGerald, each group functions differently, and much of the Muslim ban track, in particular, is less familiar with the ACLU’s programs. To onboard these donors, the ACLU has been trying out new digital and mail cultivation pieces to help them understand who the ACLU is and how it works. Engage donors beyond subsequent fundraising appeals. Another common theme was the importance of offering donors multiple avenues for involvement. “There’s something about this new level of engagement,” emphasized Aguayo of NILC. “People are wanting to get involved in different ways beyond just writing a check.” Notably, NILC has noticed that it receives the most gifts from emails calling supporters to sign a petition, rather than those with direct fundraising asks, and the ACLU has had similar findings. The International Refugee Assistance Project (IRAP) is also seeking to understand what motivates its donors. Kelly Blundin shared that her organization sent out a donor questionnaire shortly after the first travel ban to understand what activities supporters are interested in, such as calling their local representatives to advocate for continued refugee resettlement. Kris Hermanns of Pride Foundation said her organization makes a concerted effort to involve donors beyond asks, encouraging them to activate their networks through sharing posts on social media, contacting their elected leaders, and bringing friends to outreach events. Similarly, the ACLU sends out two or three “actions” a week through its ACLU action program. FitzGerald also mentioned the organization’s new grassroots mobilization program, People Power, that encourages supporters to attend rallies and other in-person events. At Planned Parenthood of Wisconsin (PPWI), Linda Neff’s team sent a personalized card with five action items to new donors, and it has been very well received. 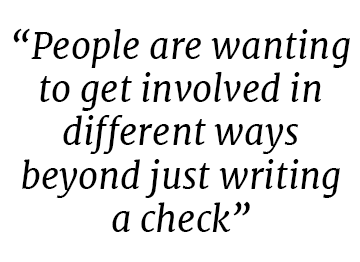 Aguayo shared this sentiment as she explained that many people have organized their own fundraising events to benefit NILC, sometimes without notifying her beforehand. For NILC, this hasn’t become a reason to exercise more control but, rather, to recognize supporters who take such extraordinary initiative. Fitzgerald noted that the ACLU has also benefited from an abundance of supporter-organized events. Staff up strategically and with the understanding that the giving spike won’t last forever. All of the organizations we interviewed had added staff in response to the influx, were planning to recruit new personnel, or had tweaked their staffing structure. In the immediate aftermath, the ACLU, PPWI, and NILC brought on temporary staff to keep up with logistical tasks such as gift processing, acknowledgements, and event coordination. When deciding whether to hire permanent employees, each organization considered its individual needs based on the magnitude of its influx and its current staffing structure. At the ACLU, the national office has added 12 new members to its development team, and affiliates have hired new staff as well. 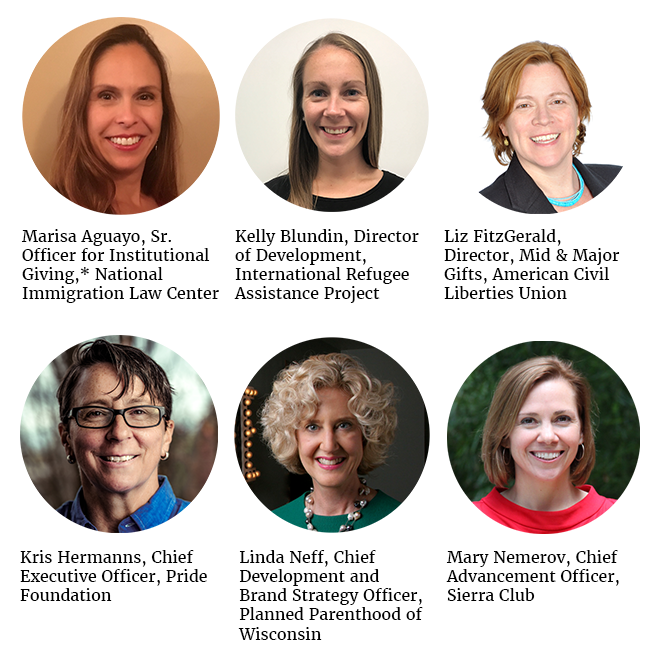 Some of these new members are dedicated to strengthening existing programs, while others are focused on expanding the ACLU’s work in new areas, such as corporate support. In contrast, Pride Foundation has been able to manage the increased work by bringing on an additional intern and shifting responsibilities to allow for extra gift entry support. Prior to the surge, Pride Foundation’s development staffing structure was heavily focused on individual giving, so it was in a good position to respond to an influx in individual donors. Pride Foundation has also hired a communications staff person with a development background and brought them under the umbrella of community engagement. Sierra Club saw a need for increased emphasis on digital advertising and monthly donors, so it hired additional members in both of those areas. NILC will soon double its existing development staff to add database support and match its incredible growth in individual donors; the organization recently brought on a Sr. Officer for Individual Giving. Adjust policies to make the increased giving more manageable. With such elevated donor support, it may make sense to alter existing giving levels or rebalance gift portfolios. To focus on donors with the greatest capacity, PPWI has raised the threshold for its mid-range gift portfolios. Similarly, the ACLU decided to reconfigure its donor programs after receiving such an extraordinary giving influx. This ensures that it will have the time and resources to personalize engagement for its highest-level donors. Coordinate closely with related departments to plan your surge response. Development should never be isolated, and collaboration across departments is even more critical in the midst of a giving influx. 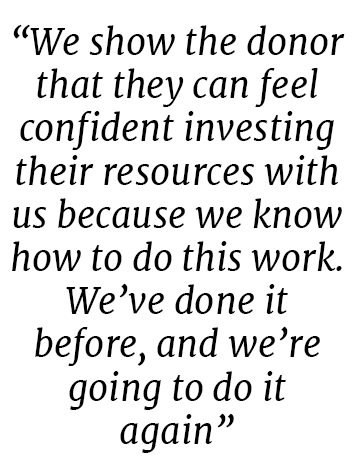 Several of the leaders emphasized their work with other internal teams. Aguayo noted that her department would be focusing on digital communications strategy in the coming year with NILC’s Communications team. Sierra Club is also making digital communications a priority: according to Nemerov, her Advancement department has been coordinating more and more with the Digital department. Together, they map out the pacing and focus of Sierra Club’s digital messages, deciding when to request philanthropic support and when to ask for other support or advocacy. The ACLU takes a similar approach. It has an email coordination team, staffed from the ranks of its Development, Communications, Affiliate Support and Nationwide Initiatives, Political Advocacy, and Information Technology departments. This team plans how to commmunicate with various supporters. Listen to what your data says. 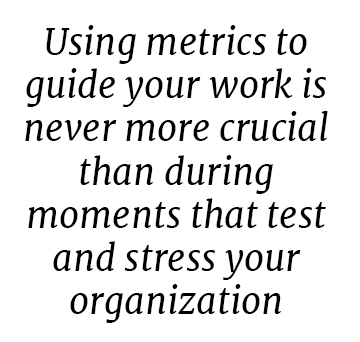 Using metrics to guide your work is never more crucial than during moments that test and stress your organization. Since the ACLU has noticed its various donor tracks think and act differently, the organization has been experimenting to understand whether its new donor groups respond to the same calls to action that motivate its longtime supporters. FitzGerald explained that the staff has been trying out various targeted emails to new donors—learning what works and what doesn’t. Implement new strategies to keep donors engaged. The giving influx has upended expectations, and organizations are searching for novel ways to keep the momentum going. As FitzGerald sees it, the ACLU now has the latitude—and the responsibility—to be bolder. “Now we’re in the position where we can do some of the things that we have always wanted to do and that we think would be good for the long-term health of the program, for our donors,” she emphasized. In the same spirit of proactivity, NILC and Sierra Club are turning their attention to peer-to-peer fundraising in the hopes of capitalizing on the increased grassroots engagement. NILC is exploring the possibility of using Facebook Fundraisers or another similar tool, and Sierra Club has launched a new peer-to-peer program called “Team Sierra.” At Pride Foundation, the development shop is trying out a host of tactics to keep post-election donors informed and engaged. These include creating dedicated first-time donor emails and sending all new donors the annual “gratitude report” along with a special note, among other planned activities. 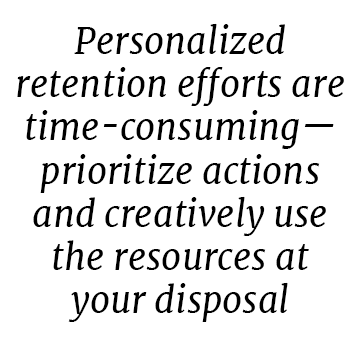 Personalize donor retention efforts as much as possible and recognize first-time donors. With greater engagement comes greater retention, and retaining new donors is top-of-mind for all organizations navigating the influx. Personalized efforts are time-consuming, so it’s important to prioritize actions and creatively use the resources at your disposal. Following the uptick of support, Pride Foundation created a portfolio of new donors for different staff, mobilizing them to call as many as possible and offer thanks for initial gifts. It also engaged its Board to help call all new monthly donors once every six months. The ACLU is using high-end telemarketing services to connect with mid-level donors and another service to pen handwritten notes to those it can’t reach by phone. In response to this challenge, PPWI opted to send out the personalized thank you card mentioned earlier. Neff’s team took pains to ensure it spoke directly to each new donor, with a hand-addressed envelope, a personalized, handwritten message, a signature from the CEO, and two pins intentionally selected for this mailing. Focus on monthly sustainers and build a dedicated engagement strategy for this donor class. All six leaders mentioned the key role that monthly donors played in their organization’s giving surge. On the heels of significant gains to monthly giving programs, it’s critical for organizations to think through how to steward this unique donor class. The ACLU has always had a monthly giving program and has long recognized its important fundraising role. Post-election, the ACLU placed monthly giving front and center, encouraging people to become long-term supporters. According to FitzGerald, this strategic choice has yielded excellent results. As mentioned above, the Sierra Club has brought on a new staff member to be the face of its monthly donor program. With this extra support, sustainers now have a central point of contact to answer questions and resolve any problems. At NILC, the Development department is creating a separate engagement strategy for its newly robust monthly giving program. Prior to the surge, NILC’s funding was dominated by foundations, and it sought to acquire more individual sustaining donors. With tremendous organic growth in monthly donors, its team is shifting focus to retention, from naming this donor class to enacting special recognition plans. Resist the urge to stray from your established tone and voice. Unprecedented giving can prompt an organization to reconsider its longtime strategies. While it’s important to adapt, some foundational characteristics of your organization should remain constant—from your mission to your collective voice. IRAP has always used hopeful messages and emphasized the resiliency of refugees, and it will continue to do so. If you decide to tap into threats, balance this with messages of hope. When it fits with your organizational tone and voice, demonstrating the threats and challenges that lie ahead can be a powerful motivator—but this tactic should be used strategically. Nemerov of Sierra Club noted that this is a time of great stress for many progressive organizations, and messaging that reflects these threats can be effective. To ward against donor exhaustion, her team is careful to intersperse challenging messaging with uplifting stories. Tell stories about your impact and the populations you serve. Sharing meaningful stories to connect with supporters is always an effective strategy, and it’s even more important when you’re working to retain a large group of first-time donors. In response to the giving influx and current events, IRAP’s development team is doubling down on storytelling. Blundin sees immense value in sharing the individual narratives of IRAP clients who are resettled and thriving in the United States and other countries. Similarly, Pride Foundation now sends a monthly email called “3 Cool Things in 30 Seconds” to all of its newly-acquired donors. Prior to the influx, “3 Cool Things” mostly went to major donors, but its staff decided to repurpose the email as a stewardship tool for its new donors. Each email highlights the impact of the recipients’ gifts, listing three high-level items that they can quickly read. Be realistic about your fundraising outlook. 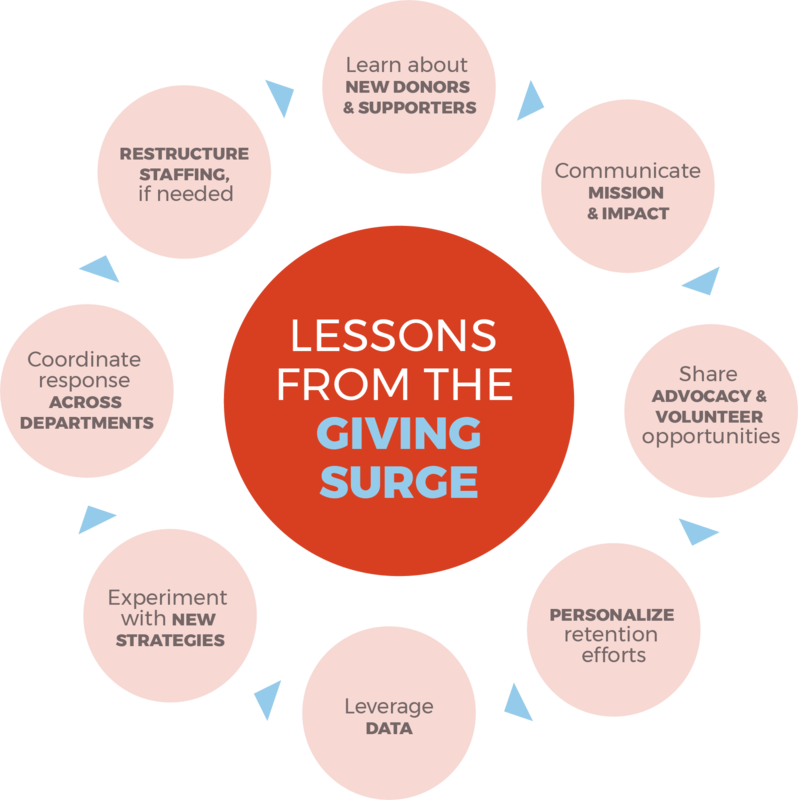 In one way or another, all six organizations are grappling with the giving surge’s transience and uncertainty. What will the next six months look like? How many donors will we retain? Will we experience spikes in giving tied to future political developments? The ACLU is coping with this ambiguity with a dose of pragmatism. According to FitzGerald, the organization doesn’t expect to bring in what it raised last year. Its development efforts are focused on understanding which of its new donors are more akin to emergency response donors—who typically retain at low rates—and which can be engaged for the long haul. Aguayo of NILC also acknowledged this uncertainty, explaining that “it’s an odd position to be in. It’s hard to predict the future when we’ve had such phenomenal growth.” Neff of PPWI and Blundin of IRAP echoed these concerns, both expressing a hesitance to make sweeping changes while the influx and donor retention are still so up in the air. No one can predict the future, but all organizations can recognize the current state of change and plan accordingly. 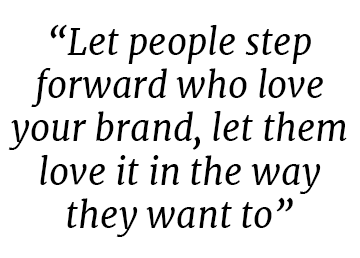 Stay true to the basics of fundraising and relationship building. Through all this change, organizations should not lose sight of donor cultivation fundamentals. Neff of PPWI advised development professionals to focus on the one or two things their team can do well to honor donors and communicate the difference they’ve made. Many months after the presidential election and inauguration, the giving surge is still fresh. The coming years will shed further light on best practices as we understand what strategies boost donor retention over the long term and contribute to organizational health. Going forward, Campbell & Company will continue to monitor this major trend, and we remain committed to helping nonprofits thrive—regardless of the political environment.